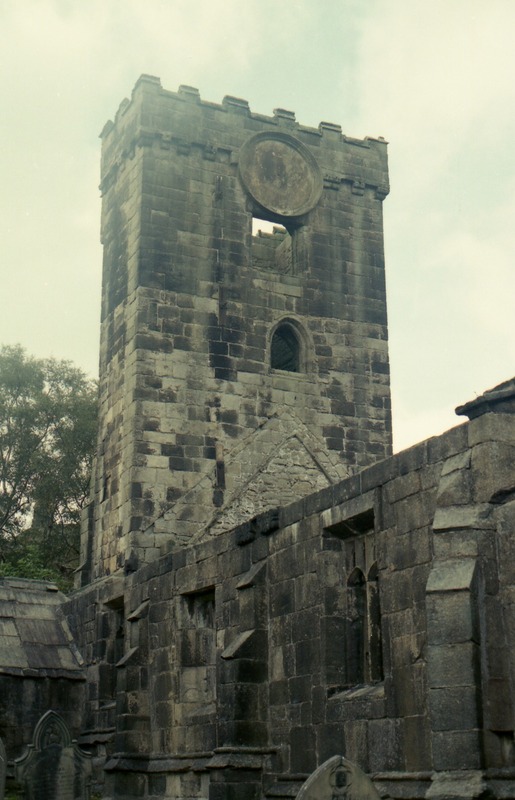 One of the most fascinating things at Heptonstall was the church grounds with two churches on it - one a ruin and another church still in use that was built after the original church suffered substantial damage in a gale in the 1800's. Of course with the original being a ruin we had to go look around - I do love taking photos of ruins! I'm trying to think if we've been in a ruin that 'young' before - most of them are usually well over 200 years - whilst this one you could easily picture what it was like when it was a substantial building and being used regularly for its purpose. We definitely haven't been in church grounds with two buildings on it - that was a first and a really fascinating to see them next to each other like that.